On the 11 July 1915, 2nd Lieutenant Rupert Edward Gascoyne-Cecil was killed in action. Born on 20 January 1895 at St Audrey’s, Hatfield, he was the 4th son of the Rev. Canon Lord William Rupert Ernest Gascoyne-Cecil, rector of Hatfield, by his wife Lady Florence Mary, nee Bootle Wilbraham, 3rd Daughter of Edward, 1st Earl of Lathom, godson of Robert Arthur Talbot, 3rd Marquis of Salisbury. He was educated at Westminster and Christ Church, Oxford. He joined the Public School Corps on the outbreak of war in August 1914 and obtained his commission in the 4th Bedfordshire Regiment on 15 August 1914. On July 11th 1915 at about 7.15 the Germans exploded a very large mine between two trenches and then continued to shell heavily. 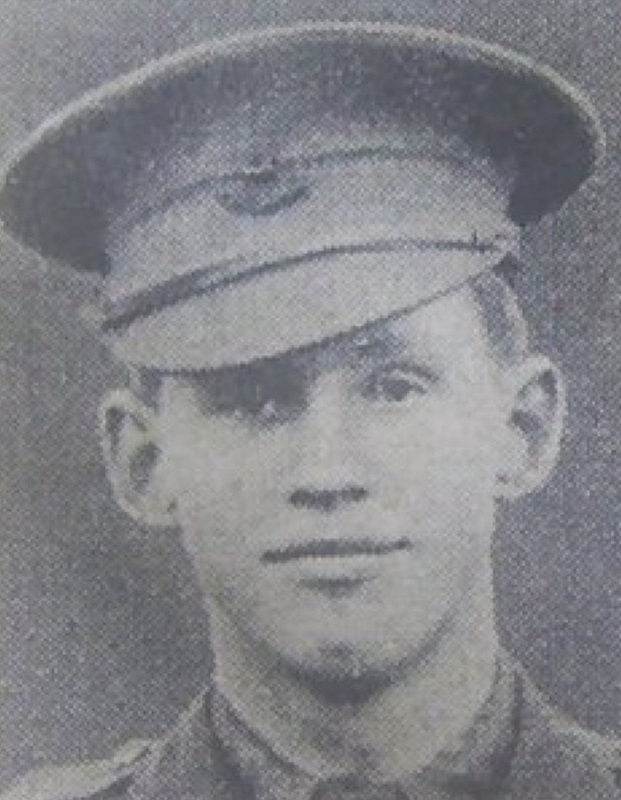 On hearing the explosion Rupert immediately tried to get up to the fire trench of which he was in charge, but unfortunately he was struck on the head by a fragment of shell and was killed instantly. He was buried close to the Ypres-Cominis line, in the Brigade headquarters cemetery. His commanding officer wrote” He was only with us a short time, but had endeared himself to all who knew him by his cheerfulness and soldierly qualities”. Captain Curtis Wrote “He was always beloved by all his fellow officers, and above all his men, who had great respect for him. We shall feel the loss which the regiment has sustained by his death but we are proud, he was doing his duty so nobly when he was killed. A good many men were stunned and confused by the exsplosion, but 2nd Lieutenant Cecil remained cool and met his death going to his post”. A memorial service was held at St Ethaldred’s Church, Hatfield. It was conducted by G K A Bell, chaplin to the Archbishop of Canterbury and Lieutenant Cecils greatest friend. The congregation consisted of many titled family and friends and G K A Bell gave a brief address from the chancel steps in which he said “we have come together as a family of friends to remember one for whom they could have but a single thought, one whose life was gentle and pure, whose lovable nature drew all hearts to him, and who gave his life for his friend. He died at his post of duty in a foreign land; he was taken before he was tainted with sin. He gave his body in service of his country, but his pure soul to his Captain whom he both loved and served well”. Mr H W Harrison then played Beethoven’s Funeral March whilst the congregation stood, followed by March from Seipio (Handel) as a voluntary. The Hatfield College Youths rang a muffled peal on the bells after the service in memory of one of their number. Rupert Cecil was a member of the society, and took a keen interest in bell-ringing. “To the glory of god and in memory of Rupert Edward Gascoyne Cecil born Jan 20th 1895 killed in action July 11th 1915 and of Randle William Gascoyne Cecil born Novr 28th 1889 killed in action Dec 1st 1917 and of John Arthur Gascoyne Cecil born March 28th 1893 killed in action August 27th 1918 I look for the resurrection of the dead and the life of the world to come”. In August 1929 the Bishop of Exeter (Lord William Gascoyne Cecil) dedicated two new bells to be placed in the tower of St Etheldreda, Hatfield, in memory of his youngest son, Rupert. The bishop explained that there was a certain sum of money left by his son which he and lady Florence Cecil were determined should be put to some purpose which their son had liked. Rupert was an enthusiastic bell-ringer so the money was allowed to accumulate until the objective was achieved and the bells were placed in the church tower that he loved so well.